Previous release history for YetiShare below. If they are still within their 1 year support period, existing users can download the latest version of the script via their YetiShare account. - Fix to IP to location library. - Update to the latest IP locations. Release Notes: There are database changes within this release. See /install/resources/upgrade_sql_statements/v4.5 - v4.5.1.sql. To patch only changed files, see \install\resources\upgrade_file_diffs\V4-5_to_V4-5-1_DIFF.txt. --- Added select folder option, support for multiple as per files. --- Added multi folder delete & drag and drop to move. --- Added empty trash button to trash toolbar. --- Hold ctrl+click to select folders. --- Addedn option to auto clear trash items older than x days in account packages. - Added privacy option on file edit. --- Added option to show direct link to video file. --- Added option to prioritise conversions on paid users. --- Added option to choose when to capture the video screenshot, either in seconds or % of the video. Release Notes: There are database changes within this release. See /install/resources/upgrade_sql_statements/v4.4.1 - v4.5.sql. - Minor fixes to file manager breadcumbs & folder reloading. Release Notes: There are database changes within this release. See /install/resources/upgrade_sql_statements/v4.4 - v4.4.1.sql. For code difference with v4.4 see \install\resources\upgrade_file_diffs\V4-4_to_V4-4-1_DIFF.txt. --- File Operations: Upload, Download, Get info, Edit meta data, Delete, Move, Copy. --- Folder Operations: Create, List (Files and Folders), Get info, Edit meta data, Delete, Move. - Fixed issue with jwplayer fullscreen mode in Chrome. - Added upgrade page package names into translations. - File download pages / upgrade pages now show the file description and keywords, if set. - Minor improvements to RTL layout. --- Improvement to PPD logging when using Nginx and download managers. --- New advice for PPD complete download log for Nginx and CloudFlare. --- Improved concurrent conversions option to work per server. --- Removed use of ereg function for PHP7. --- Added JWPlayer 7 as an available media player. Release Notes: There are database changes within this release. See /install/resources/upgrade_sql_statements/v4.3 - v4.4.sql. To enable the API you will need to apply the new rewrite rules to Nginx or .htaccess, if you're using Apache. This script now requires minimum PHP v5.5. - Improved folder sharing. Optionally share a private folder with someone by generating a unique hashed access url. - Adblocker detection to limit access to the site when adblocker is installed. Optionally block users from the whole site or just downloading. Only enabled if the user account type is set to see advertising. --- Enabled use of browser 'back' and 'forward' history buttons when browsing files & folders. --- Improved file manager default styles. --- Integrated file stats into it's own popup within the file manager, rather than redirecting to the front-end stats page. --- Right-click menu on main folder icons. --- Icons added to file manager menu options. --- Removed treeview folder listing from mobile view as it's no longer needed. --- Improved remove file function on file uploader. --- Added link to admin area within the file manager, if admin user and viewing on mobile. --- Within the file manager folder names are shown in the browser title view navigating folders. --- When adding a folder, the new folder is loaded for easier uploading. --- Lefthand treeview folders expand as the main folders are clicked on. --- Increased animation speed and removed slide-ins on front-end pages to make the site more snappy. --- Changed the download button on image thumbnails to prompt the right-click menu. --- File details popup active tab remembered between browsing, including using the left/right arrow keys. Improves navigation of file previews. --- Added optional download page so file details can be shown during the download process. --- Blocked autocomplete input on uploader 'additional options'. i.e. email and password input. --- Persistent toolbar in users file manager. The toolbar with 'upload', 'filter', 'per page' etc will always show onscreen when the user scrolls. --- Improved the copy to clipboard functionality and reduced reliance on Flash. --- Added close button on file upload popup for mobile & desktop views. --- Added option in admin to block the same file from being re-uploaded. Optional on file remove and automatic after removal on abuse reports. --- Added email notification to original reporter after removing a file via admin, abuse reports. --- Admin option to set blocked keywords within the filename on file uploads. --- Added option to temporarily disable file uploads globally via the admin area, site settings. Uploads will still function for admin accounts. --- Added option to temporarily disable file downloads globally via the admin area, site settings. Downloads will still function for admin accounts. --- Allowed for read only file servers in the 'move files' functionality, so files can be moved away from a read only server. - Fixed issue with multiple urls when using background remote url uploads. - Fixed issue with expiry date not updating after upgrade on account_edit page. --- Added video.js as a media player option. Updates player on public video page, file details popup and video embed iframe. --- Optional basic VAST support using video.js. Pre-roll videos only for now, although more support to be added later. --- Added embed video code to the file details popup in the members area, if enabled by admin. --- New option within the plugin settings to capture only video screenshots. --- Added option to manually schedule 1 or more videos to be converted. New form on the bottom of the queue listing page. Optionally choose to capture only the screenshot or convert the video. --- Updated convert.php to use the core SSH server settings (new option in edit file server) rather than having to rely on setting them in the code. --- Removed the SSH form on the admin, site settings page for screenshots. Now uses the SSH server details stored against the file server. --- Added close button to clear popup dialog after FTP import. --- Plowdown path moved from the top of "_append_url_upload_handler.php" into the plugin settings, to make upgrading the plugin easier. --- Updated the Plowshare install guidance on the plugin settings page. --- Added embed image, direct link & forum code to the file details popup in the members area, if enabled by admin. --- Added embed document code to the file details popup in the members area, if enabled by admin. --- Updated process_archive_queue.cron.php to use the core SSH server settings (new option in edit file server) rather than having to rely on setting them in the code. --- Only update the status of any pending torrents when the upload popup is shown. Limits unnecessary ajax requests when browsing the file manager. Release Notes: There are database changes within this release. See /install_yetishare/resources/upgrade_sql_statements/v4.2 - v4.3.sql. Users of the media player will need to migrate their server SSH into the new area with the admin, file servers section. You no longer need to set these within convert.php. - Powerful new search tool within the Flow theme. Enable your users to quickly search and download publicly shared files. Optional via the admin area. - Built in link checker for checking whether multiple downloads links are active at the same time. - Admin area icon view for file management. Site settings option to set default view. - Logged in user details and subject added to contact form email notification. - Various bug fixes and other minor improvements. --- Fixed embed links when using external file server storage. --- Added tracking of PPS by cookies for better handling of return visits. --- Resolved some minor issues with PPS logging on some payment gateways. - Upload all files and folder except: _config.inc.php, files/ & install. For new installs see "___INSTALLATION.txt" in the script root. - Added file privacy options at various levels. Site wide, account level, folders (inc sub-folders) & on specific files. Private settings inherit down onto all folders/files if set by site/account. - Added the option to allow users to choose their own password when registering an account. - Added Account locking feature which, when enabled, locks the account details from being changed, users will not be able to edit, move or delete files whilst the account lock is enabled. - Updated reCaptcha to the newer reCaptcha2. - Added sub-folders to the main file manager window rather than just showing the files. - Added ability to block file types from being uploaded. - Payment complete page, after payment, user session is reloaded to reflect the upgrade. - Added ability to ban files by extension (.exe;.jpg;.docx;.etc) and file md5 hash/filesize. - Added a delete button / option for themes & plugins. - Added a comprehensive admin support page which will help with support requests. - Added a function to detect 32bit or 64bit operating system. - Added account expiry details to account edit page. - Replaced user drop-downs in the admin area with text entry/auto suggest for better scalability. - Moved xAccelRedirect & xSendFile options into the file server configuration & removed from the old global settings from the site_config table. - Allowed the remote downloader to follow 301 redirects, limited to 5 redirects. - Admins can set files to be restored from the pending deletion queue on the next task run (process_file_queue.cron.php). - Admins can now limit the hourly amount of emails sent by the 'send via email' form by user. - Fix to file removal on FTP/S3. - Added support for theme settings and admin navigation items via theme config. - Support for file keywords. - Fixed issue with possible site url injection into the translations. --- New overview page showing total earnings by user and overall system stats. --- Option to limit PPD access by account type (free or paid accounts). --- Fix to capture PPD data only when PPD is enabled in plugin settings. --- Log PPD after x percentage on watching videos/audio. --- Updated code to process the new individual X-Accel-Redirect & XSendFile configurations in the individual server configs. --- Use Transmission instead of uTorrent as the torrent engine. --- Link for user to cancel downloading torrent. --- Link for user to clear completed torrent. --- Limitations of account max storage and max upload size now apply to torrents. --- Added peer information to users torrent download page. --- Cron script changed to command line rather than wget to improve performance. --- Fix to allow for users downloading the same torrent at the same time. --- Better handling of image thumbnails. Links directly to cached version and only routes via PHP on first server cache request. --- Option to set preview image quality. --- Option to automatically rotate images on upload, based on EXIF data. --- Added option to keep the originally uploaded file. Converted file will be stored as a new file and linked to the original. --- If using the media converter to keep the original file, the converted copy will play directly in the browser whereas the download link will provide the original. --- Integration of social network profile picture to Flow theme. --- Update to fix Foursquare login process. --- Updated Facebook login to use new Facebook API permission set. --- Added social login to site registration page. --- Added IPN URL to the plugin settings page. - Added Google Analytics tracking code option in admin, site settings. - Background task manager and log viewer in admin area to aid with the configuration of cron tasks. - Allowed for remote file server uploads for admin when in maintenance mode. - The ability to drag & drop anywhere in the file manager to prompt an upload to the current folder. - Flow theme file manager retains current page on file delete. - Flow theme file manager added ctrl-a shortcut to select all files. - Added check for mcrypt on installation process. - Support for xAccelRedirect when using multiple mounted drives on the same file server. - Fixed responsive download table being cut off on smaller screen sizes. - Fixed possible storage issue on remote file servers when using relative paths. - Fixed possible cross site session issue with remote upload. - Fixed drag and drop sometimes not working correctly in Flow theme. - Fixed password validation when min and max password length requirement the same. - Fixed issue with skipping video when using Apache XSendFile. - Better resizing of file listing in the file manager within the Flow template, list view. - Storage of server doc roots in the database to fix some cross file server delete issues. - Fixed issue with recipient email used on 'send via email' template rather than senders email. - Fix to show username in forgot password email. - Fix to allow cross site file removal via abuse reports pages. - Fix to file move paths for local and direct server storage. - Fixed formatting of html & forum embed code when using RTL. - Responsive pie charts in file stats pages. - Fixed issue with zip file creation when using 'direct' server storage. - Removed check for CLI mode on cron scripts. Not all servers provide the same interface name when in using CLI. - Improved Nginx rewrite rules. - Other minor tweaks and improvements. --- Updated to use consistent method to loading plugin settings. Resolves reliance on session store and possible cross site image preview issues. --- Removed status bar on email content editor. --- Resolved issue with media over 2GB on remote storage not converting. --- Better randomise for selection of paid account details on leeching. Version Notes: Major release with a lot of changes to the core code. For upgrades, upload the /install/ folder and see the 'Upgrade from v3.x to v4.0' option. For new installs upload the same folder and use the installer process. --- Responsive - Mobile, tablet and desktop versions included. --- Built in uploader instead of going to the homepage to upload. --- Minimise uploader popup during upload. Continue to use your account, browse & download files etc, while uploads are being processed in the background. --- Written with Bootstrap v3. --- Full support for RTL languages. --- List view column headers with total downloads shown. --- Add/edit file in ajax popup. --- Add/edit folder in ajax popup. --- Send file via email tab on file info popup. --- User can upload an avatar. --- Account settings page with overall stats shown. Available storage, used storage, active files and total downloads. --- Account notification widget for alerts on to users. i.e. premium expiry, offers etc. --- Single click on download links to highlight and copy. --- Filter by uploaded date range option. --- Filter in current folder or all folders option. --- File manager, added direct link to download file. Avoids the preview page if using media player, image and document viewer plugins. --- Option to download all files in a folder within the file manager as a zip archive. --- Delete keyboard key shortcut added to file manager, delete files. --- Responsive - Mobile, tablet and desktop versions added. --- Add links to plugin settings in admin, site settings. --- Admin configuration option to adjust the time to keep files in /files/_deleted/. Set to 24 hours by default. --- Set file as premium only via the admin area. Also restrict by other account levels, i.e. only registered users, moderator or admin users. --- Added option to set upload server for a specific user in admin, edit user. Useful for testing new file servers without disrupting other users. --- Disabled mod security in admin area if available. Solves some issues with updating site settings or setting advert code. --- Admin area edit file popup. Edit filename, owner, short url, access password, mime type and admin file notes. --- Admin add/edit user. Set default paid expiry date to 1 year when creating a paid user. Avoids issues with automatic account downgrades if no date set. --- Set HTML header and footer on emails. Enabled by default. --- Admin option to set text direction when adding a new language for template (RTL or LTR). --- Admin area manage file action queue. View raw file deletes and moves. Cancel actions and trigger the cron script to process pending actions. --- Admin area updated to use new cross server session management. --- Fixed admin option to scan for new text translations. --- Better management of templates within the codebase. Template html files now moved into /themes/ along with the css, js etc. --- New template management pages in the admin area. Upload template zip package, view template details, preview, activate etc. --- On upload, if file already exists in folder, rename to (2), (3) etc. Blocked renaming of files with the same name within the same folder. --- File action queue for managing deletes, moves etc. --- Huge improvement on cross server session management. User session transfered to external file servers as needed, per server, rather than via the homepage for all servers. Performance increase as a result. --- Added support for X-SendFile to improve performance on downloading with Apache. Option to enable in admin area. --- Added support for X-Accel-Redirect to improve performance on downloading with Nginx. Option to enable in admin area. --- Cloudflare support for increased site performance and load times. --- Increased upload chunk size from 5MB to 100MB to improve upload speed. --- Change to file delete process on local or direct file storage. Files are now moved into /files/_deleted/ for 24 hours, then removed automatically. Allows for recovery time if needed. --- Full support for IPv6. --- Fix to send utf-8 encoded email when using PHP mail() sending method. --- Fix to clearing of cross site session transfer tokens. --- Fixed intermittent block size issue when using mcrypt on the download pages. --- Fixed bug with deleteRedundantFiles() not working as expected on direct file servers. --- Decoded filenames when using remote file download. --- Huge improvement on storage method for passwords. Now using SHA256 with key stretching via PBKDF2. Existing passwords converted on login. --- Option to send email notification to user when their account email address or password is changed. --- Account login IP and country history logged for the last month. Viewable via manage users in the admin area. --- Total login stats within last month, including from different IPs and countries shown by user. Helps reduce account sharing. --- Ability to set list of email domains to block from registration. --- Set banned ip expiry date to ban for limited time. --- Option to ban ip address from logging in. --- Fixed issues with blocking account sharing. Users will be logged out of their account if another person logs into it. Option in admin area. --- Minor bug fixes and general performance improvements. --- Auto prune cron task to clear old database data for better performance. --- Moved previous executeBatchTasks() on the index page into cron task (delete redundant files and downgrade accounts). --- Generate internal notifications cron when account due to expire. --- Added support for subtitles when using JWPlayer. Auto loaded when subtitle file named the same as video file. Multiple languages supported. Supports srt, vtt, xml, dfxp. --- Support for responsive templates in JWPlayer on video playback. --- Preview of video/audio embedded into 'Flow' file manager on file details popup. --- Fixed issue with video not showing correctly on https. --- Opengraph preview icon added so icon shows when posting to Facebook. Screenshot is also used if created via the media converter. --- Added support for video conversion to webm. --- Added framerate option to convert.php to speed up conversions. Default set to 30fps. --- Added guidelines on how to install ffmpeg with ffmpeginstaller.com. --- View current converter queue stats and queue items via converter plugin page. --- Cancel or redo a conversion via admin area plugin. --- Automatically fail any conversions which have been in processing stats for more than 1 day. Resolves occasional timeout issues. --- Cancellation of any pending conversions if file deleted. --- Improved storage of screenshots. Moved into global cache folder in core. --- Auto removal of any cache (screenshots) on deletion of media. --- Capture of EXIF data on upload and displayed in the 'Flow' theme image popup, in the file manager. --- Larger image preview added to 'Flow' file manager on file details popup. --- Admin option to show a direct link to the image for users. Images can be directly hot-linked, if the option is enabled. --- Support for responsive templates on image preview. --- Opengraph preview image added so thumbnail shows when posting to Facebook. --- Auto removal of any image cache on deletion of media. --- Improved storage of resized images and thumbnails. Moved into global cache folder in core. --- Preview of document embedded into 'Flow' file manager on file details popup. --- Opengraph preview icon added so document icon shows when posting to Facebook. --- Added support for ProFTPD. Runs in virtual mode using the main database. Need access to server to configure. --- Staggered each upload 1 at a time rather than all at once to improve performance on large volume uploads. --- Added link to FTP upload tab to recheck for pending transfers. --- Added download complete log for NGINX users. PPD downloads are only logged when a download is entirely downloaded when using X-Accel-Redirect. Included in the plugin at no extra cost. --- Added PPD groups by filesize. Set payment rate based on filesize aswell as country. --- Added total paid figure on customer account rewards page. --- Add option to set other outpayment methods for withdrawals. i.e. bank transfer, cheque. Easily add new ones like bitcoin, stripe etc. --- Option to set maximum total daily earnings by downloader IP. --- Option to set maximum total daily earnings by file. --- Option to set maximum total daily earnings by file owner/user. --- Link in admin, 'payment requests' page to pay outpayment via PayPal. Auto-fills the amount, description, currency, users PayPal email address etc. --- Added percentage progress indicator onscreen when leeching, same as remote url download. Version Notes: Please see /offline/upgrade_file_diffs/ for the full list of changed files. This release is a minor release fixing a number of issues in the previous v3.5.1 release. Ensure you apply the database changes from /offline/upgrade_sql_statements/ when upgrading. - Improvement to bulk file deletes across remote file servers. - Detection of visitors correct IP address if using Cloudflare. - Added password policy options for accounts. Min/max length, include uppercase, numbers and special characters options. - Batch drag & drop file move in file manager. - Right-click context menu on files in file manager & 'select all' menu. - Delete file in file manager now uses ajax remove process. - Fixed account max upload limit on remote uploader. --- Added option to override cPanel host for FTP accounts. Use if using ftp.yourhost.com. --- Better support for non-utf8 characters in filenames. --- Update to add all text content to translations. --- Removal of old token usage for downloads. Version Notes: Please see /offline/upgrade_file_diffs/ for the full list of changed files. This release is a minor release fixing a number of issues in the previous v3.5 release. Ensure you apply the database changes from /offline/upgrade_sql_statements/ when upgrading. There's limited impact on templates this release, most is core code changes. For custom download pages, note additional text in admin area, download pages section for creating 'next' page links. - Additional headers in file download process for better support on partial content requests. Fixes seeking in media player. - Improvements to download speed restriction code to remove output buffering. Performance increase. - Fixes to download process when using multiple download pages. Note additional text in admin area, download pages section for creating 'next' page links. - Download threads limitation bug via download managers resolved. - Support for directly adding download urls in file managers with username & password. Resolves FDM issues. - Ability to change file password on file edit page. - More flexible options for different FTP server types in FTP file servers. - Added file management class to centralise removal of actual file distributed on multiple file servers. - Fix to seek failure when playing movies in Chrome. --- Fixed download not working after playing movie. --- Added option to ignore download pages for media file types. --- Fixed bug when full stop character used in server path. --- Removal of thumbnail cache on delete of an image. --- Fix background colour of transparent image thumbnails to white. --- Fix to resize of image fail for non-cache thumbs or blank custom image size. --- Detection and display of animated gifs on image viewer page. --- Increased generated password sensitivity for better compatibility with all cPanel configurations. - Added new button to file manager to bulk delete files. - In file manager, added option to change selected file popup by using the right & left cursor keys. - Support for download managers for non/free users, including resume support. - Option to set 'direct' file servers to produce download urls using the main site url. Final download is processed with file server. - Members area option to keep all file statistics private. Statistics urls will not work unless they're logged into their account. - New admin area section to set mutiple download pages based on user type. Users can be shown any amount of intermediate pages before being provided the download. Easily add custom download pages. - Admin area added option to remove multiple files at once. - Admin area option to delete user account and associated files. - Admin area option to delete file/stats database records. - Admin area split option to toggle adverts by non, free and paid users. - Admin area option to disable uploading by non, free and paid users. - Contact form added to front-end. Includes optional captcha. - Sharing folders publicly will also now list sub-folders. Sub-folders need to be set as publicly accessible via the file manager. - Added additional mimetypes for remote downloads. - Added option in admin area to set the default view of the file manager to icon or list. - In admin area file manager, added link in own column to quickly filter files by IP or account. - Prefilling of abuse report file urls if linked from file download page. - File stats no longer require Flash, pure html5 implementation. Viewable across all devices now. - Added more system logging to aid debugging. - Import and export CSV option within admin area manage translations. - Admin option to scan codebase for missing translations to ensure translations data is up to date. - jQuery updated to jquery-1.11.0.min.js. - Minor bug fix for file manager when moving files into sub-folders. Root folder no longer shows all files. - Overall reduction on memory usage by 25%. - Overall reduction in the amount of queries run on each page load. - Performance improvement when loading translations. - Performance improvement with file statistics. - Fix to max concurrent file uploads setting for non/free users. --- Support for 'lights out' when using JWPlayer. --- Option to hide file countdown for all user types on images. --- Performance improvement on image thumbnails. --- Merging of folder and file management. --- New quicker icon based interface. --- Ajax popup on each file for quick access to file information. --- Image previews if used with image plugin. --- Upload directly to a folder. --- Fullscreen mode for file management. --- Ctrl click multiple select to copy and paste all links, forum bbcode or html code at once. --- Quick access to recent uploads. --- Trash can for deleted files. Empty trash option to permanently remove file stats and information. - Ability to limit the maximum files which can be downloaded for free user in a 24 hour period. - Progress indicators on remote file upload. - Logging of md5 file hashes on upload. - Support for chunked uploads if supported by browser. Bypasses PHP limits and any tmp folder size restrictions. - Duplicate files are no longer stored, so the same file will only ever be kept in storage once. Unique download urls are still generated on each upload for stats, privacy etc. - Added option to set session expiry period via the admin area. - Improved cross site session token clearing when PHP & MySQL times are out of sync. - Improvements with possible conflicts on PHP class auto-loader. - Added system log class for better error handling. - Admin area log file viewer. - Fixed various notices in log files. - Improvement to tab rendering on index page. - Added option to hide adverts for paid/admin users. - Updated IP address to country data. - Added database browsing tool to aid debugging. 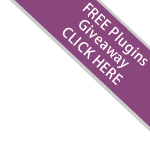 - Option to set the load order of plugins via the plugin database table. - Added 'forgot password' link to main login page rather than just the login popup. - Added payment page in admin area to search and browse received payments. - New 'add payment' popup to manually log payments. Useful for manual upgrades, bank transfers, cash payments etc. - Separated free user configuration options from non-logged in users. - Added account storage limit options for free and paid users. - Added account storage limit override by account on edit/add user. - Added admin option to block paid account sharing. On login, it'll clear sessions for any other users logged in with the same account. - Added admin option to use different site images and css styles dependant on language. - Added improved file type icons with a wider selection of formats. - Better report copyright abuse integration. Front-end form to capture details including validation of active file. Admin area screens to review and easily remove files. Admin dashboard change to show how many pending review. - New moderator user type to provide limited access for reviewing copyright reports. User type can access the file management and reported abuse pages in the admin area. - Improvements to better get mime type when finfo not available within PHP. Resolves possible streaming issues on media player for files added using remote upload or FTP upload. - Added admin area notice when script upgrades are available. - Added option within account settings to enable users to select their default account language. Option in admin area to enable/disable. - Admin option to put website into maintenance mode. Disables front-end website with a message. Admin area access still available. - Fixed bug on remote url upload which caused an error if the url contained brackets. - On the uploader, added option to select folder before uploading (in 'options'). Option pre-selected if upload prompted from 'your files'. - Admin option to disable user registration. - Added option to copy file into your account on the file details page (~i page). Can not be used for password protected files. - Added fix to session so user is remembered after returning to the site. - Option to set maximum storage limit for file servers. - Option to use a file server until it's full, then use the next. File server priority must be set and 'until full' chosen for the 'server selection method'. --- Change to display preview thumb on scroll down upload result. --- Added embed code to upload result. --- Removed link to info page on upload result. --- Added logging of width/height of image and shown on upload result page. --- Added image size on image preview page. --- Added option to download a resized version of the image. --- Added option to set custom resized image size. --- Embed video or audio option for external sites. --- Full screen support for FF & Chrome on embedded videos. --- Proper full screen mode for browsers which support it. --- Fixed preloading of media time on certain videos/audio. --- Improved issue with progress bar not working on certain videos/audio. ----- Pay users per 1000 downloads of files. ----- Different payment group rates. ----- Payment groups based on downloaders country. ----- Option to only count above certain file sizes. ----- Only counts by daily unique IP addresses. ----- Admin interface to view downloads and manage settings. ----- UPDATED: PPD earnings now clear each night. Clearer feedback on screen for PPD balances. --- Added notice in media player screen for any pending/processing conversions. --- Allowed processing of mp4s so they're converted to streamable versions. --- Attempts to grab a screenshot of the video 15 seconds in and uses as thumbnail in users account/account sharing page. - Support for direct uploads and downloads to external file servers using the file uploader. - Support for url uploads direct to external file servers. - Migrated from old mysql_query functions to PDO in database layer. - Moved to database based sessions to allow for cross server session support. - Cross site user login sessions. Run the script across domains, sharing the database, distributing the load & storage. - Added ability to disable default local file storage via admin area. - Added PayPal callback in PayPal payment gateway plugin to validate IPN call. - Improvements to remote upload functionality and error handling. - Internal rework on uploader code to move the result drop-down from JS into the uploader class in PHP. Content can also be overwritten via plugins. - Support for upload progress in IE added with general IE improvements. - Support for currencies with comma in amount. - Limit on length of filename displayed within the file details page to fix formatting issue. - Added logged in username to current download list in admin area. - Added option in admin area to limit maximum files that can be uploaded at the same time. Default is set to 50. Split by free/paid users. - Added auto redirect to www/non-www version of the site depending on the _config.inc.php setting. Resolves some ajax issues. - Added optional captcha for account registration page. - Added option to enable or disable logging of current downloads in the admin area. - Added option in admin area to limit total concurrent connections for paid users. Also limits connections using download managers. - Removal of reliance on hard-coded admin folder path in plugins. Now relies on path set in includes/master.inc.php. - Added option in admin area to set a waiting time between downloads for free users. - Fix for banned ip checking on upload. - Fix for max files a users IP can upload per day. - Change to plugin code to allow for parameters to be passed. - Delete links amended across the site & admin area to allow for direct file server deletes. - Moved datatable labels on account_home to translations. - Fix for possible XSS issue on file details page. - Fix to wrap filename on download delay page. - Fixed file type icons not showing if file extension in uppercase. - Improvements to allow for double request for download when using Android. Fixes download for free users on Android. - The core database layer has moved from using the old mysql_query functions to PDO. You will need to ensure you have the MySQL PDO module enabled before upgrading. - Many plugins, including the FTP plugin, have been updated for this release so they work with the new uploader code. If you use them, ensure you've updated your code to the latest version. You can do this by downloading the zip from our site and uploading the files to your plugin folder via FTP. - Moved PayPal gateway to plugin architecture so it can be disabled if needed. - Minor change to wrap long file names within 'your files'. - Changes to allow for FTP Upload Plugin. - Minor file change to allow for media streaming plugin. - Remote url upload functionality added to home page. Supports http, https and ftp urls. - Minor change to not count admin area file downloads in stats. - Allowed 'delayed redirect seconds' to be zero so free users can be configured for direct downloads. - Option in admin area to require users to register before uploading. - Option in admin area to require users to register before downloading. - Option in admin area to set the type of file url to create on upload. Shortest or long random hash. - Option in admin area to set maximum file download size for free/non users. - Option in admin area to set maximum concurrent downloads for free/non users. - Admin area option to delete a file server and all associated files. - Display 404 page instead of redirecting to index page when a file url is invalid. - Minor improvement on live download tracking under heavy traffic loads. No longer keeps database connections open during downloads. - Minor bug fix on current downloads page in admin area. - Added IP address of uploader to admin file manage screen for non-logged in users. - Minor fix in admin area to correctly display TB sizes on file server manager. - Minor change to public folder listing. If owner of folder is logged in, the password prompt is not displayed. - Added better support for plugin zip extract via admin area using pclzip. Resolves occasional 500 error. - Better formatting in Chrome for dialog popups in the admin area. - Plugin architecture added to the admin area and core codebase. - In the admin area, it now displays which user uploaded the file. - Better flow from file countdown, to register, payment & upgrade. - Added HTTP auth support for download managers. - Better support for resuming downloads using both local and ftp storage. - Support for chunking in download managers. - New admin area page to view currently active downloads. - Site language chooser. Option in admin 'site settings' to show or hide. - Improved admin functions to manage translations. - Site email content moved into translations. i.e. registration, forgot password & report file notifications. - Database indexes set to improve performance with larger datasets. - Database logging of which files result in paid upgrades. Available within the 'premium_order' table. - Logging into a premium account when on the file countdown page redirects back to the file page. Results in immediate download for premium accounts or upgrade for other. - Better error reporting on multi uploader. - Admin area check & notification for tmp folder size. - Admin area option to set reason for file removal and logging of original DMCA removal request text. - Minor bug fix with payment process to PayPal when using other currencies. - Converted members area file listing to ajax for better performance. - Additional filters added to members area file listing (folder & status). Default file listing status is now 'active'. - The right-hand 'your files' widget now only displays non-account files by the same IP if the user isn't logged in. - Bug fix which permitted usernames with spaces. - Sanity checked and added a number of missing text translations. - After file upload, option to set folder. - Set folder public or private. - Set password on folder. - Added edit file details page. - Reset forgotten password pages. - Edit account email, name & password page. - Optional captcha after download counter for free users. - Improved download streaming when using remote ftp file servers. - Removed inaccurate upload progress text when using IE. - Moved homepage 'benefits' text into translations. - On homepage upload, prevented the results box from being closed when clicking any of the rows. - Added docx icon into file upload types. - Added secure phpinfo page within admin area to aid with debugging. - Removed admin area navigation if not logged in. - Improved admin login form style. - Fixed issue with editing ftp port on file server management. - Minor bug fix. In some instances, uploaded files might not be completely removed when deleted by admin. - Added check for php ftp functions within admin 'test ftp' page. - Fix on "Admin Users" & "File Servers" for the sorting of "total space used" and "total files". - Removed database password from displaying if there's an error with database connectivity. - Fixed filtering within admin area. - Fixed csv export within admin area. - Minor bug fix with account expiry date not updating via admin edit user. - View/amend account paid expiry date within admin area. - Added filesize when browsing files admin area. - Added filesize in user file manager. - Option in admin area to show original filename on end of file url. - Option to set different download site address to main site. Set downloads from a different domain. - Improved countdown timer page. More information about the benefits of registering for a paid account inc estimated download time. - Support for multiple file servers via FTP. - New admin page to configure file servers. - Test file server page. - Admin area option to use a specific file server or automatically select the one with least space used. - Added 'filter by server' option on 'manage files' in admin area. - Added 'filter by user' option on 'manage files' in admin area. - Added link to 'manage users' to view user uploaded files. - Added total space used and total active files to 'manage users' in admin area. - Added link to admin area on main site if logged in as admin user. - Removed the ability to bypass the countdown by refreshing on the countdown timer page. - Fixed minor character issues within the admin settings page. - Fixed issue which could mean paid users see the countdown timer when downloading a file. - Fixed issue which meant the countdown wasn't displayed for free users when clicking on links in the 'your files' section. - Added the ability to specify smtp settings for sending site emails. - Fixed filesize bug using IE to upload. - Fixed issue where entries are sometimes created in the database on upload failure. - Better compatibility with Safari browser. - On some servers larger downloads could produce 500 errors. Resolved in this release. - Minor bug fix to limit maximum days value for redundant file deletion. - Missing 'unknown' translation on stats pages. - Minor bug fix to block file upload attempts without names and with zero size. - Added check for referrer on file upload script.